KaraFun Help Centre Windows Features How to change and save the key of a karaoke song? 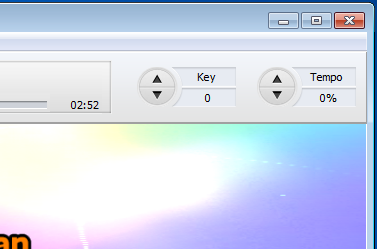 How to change and save the key of a karaoke song? What if I want to save the pitch for next time ? It's fairly simple. Just add the karaoke song to any playlist. In this playlist, click on the karaoke song, and a control bar should be displayed at the bottom. That's where you can setup your permanent settings. Didn't find your answer in the Help Center? Get in touch with our team to ask your question.